Finished basements sit at the top of the wish list for many homeowners, but making them happen is specialized work. 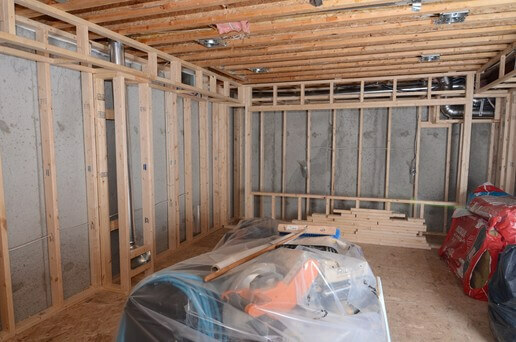 Besides the really obvious issue of having a reliably dry space before finishing, advances in building materials, design options and homeowner expectations are some of the reasons the basement finishing business is changing. And the best place to find out how is by looking at basement specialists at work. Enlarged windows offering more natural light and legal egress sizing, foam-based wall insulation systems, vented subfloors, spray foam sealants and basement-tough flooring systems are all part of leading-edge basement construction these days, but there’s more to the game than just materials. “Every basement is different, and that’s why we only have one firm notion of how things should be done,” says Lecuyer. “The only constant is that we aim to do things exceptionally well. How this happens varies. If you’re going to create great basement spaces you have to embrace the unexpected. You have to be flexible and creative to find solutions to the many, many obstacles and objections that get in your way. Basements are not clean slates. They’re minefields. Each and every basement we finish is a custom, one-off creation. We stand firm on being ready for anything the house or our customers throw at us. “The internet is changing everything,” says Solomon. “Customers are better informed now. More and more people are using websites like ours, or Pinterest and Houzz for design inspiration. Some basements have to be redesigned four or five times before we start construction. Also, many customers are looking to add legal basement apartments to help pay for their common living expenses. Over the last 20 years, basement finishing materials have changed more than any other single area of residential construction. 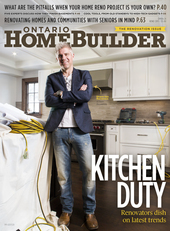 All are reasons why work downstairs is looking up for Ontario’s basement renovators, whose work is following the path of rest of the building world, with rising consumer expectations, greater price competition on the low end, advances in material technology and increasing customer sophistication. It all leads to more specialization and, in the end, some really spectacular basements.